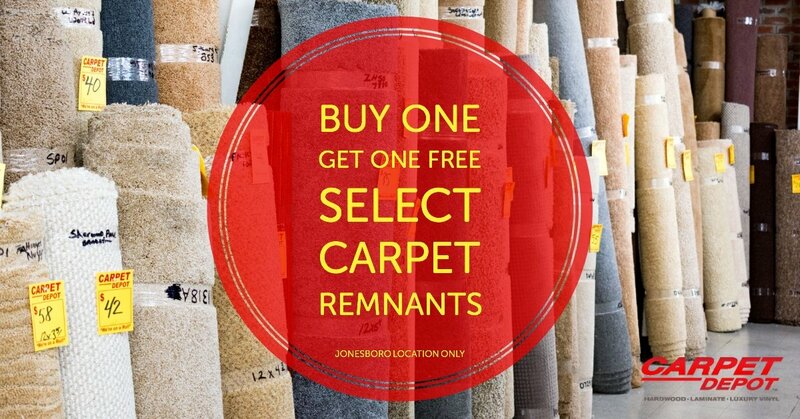 For a limited time, select carpet remnants are Buy One, Get One FREE! Hurry in while supplies last. Select remnants only. Valid only at our Jonesoboro location.